My dad attended All Saints Shool but I believe he passed an exam in 1930 when he was 14 & went to the Intermediate Technical School.. Was that the age they took the exam to go to Technical School & does anyone know wheere the school was please ? I’m assuming you haven’t seen this already, which may be of some use? Yes about 14 was the age we 11plus failures took the central Tech entry exam where you could study either building or engineering. Thanks Old Rider but can you tell me where Tech School was please ? The Junior Technical School was part of the Central Technical School referred to by RLongden and Old rider , so presumably the Intermediate was just another level or a change of name, If you search "Technical School" on Picture Sheffield you may come up with something relevant to your search. Here is the door to the main hall at the bottom of West Street corner of Leopold Street. 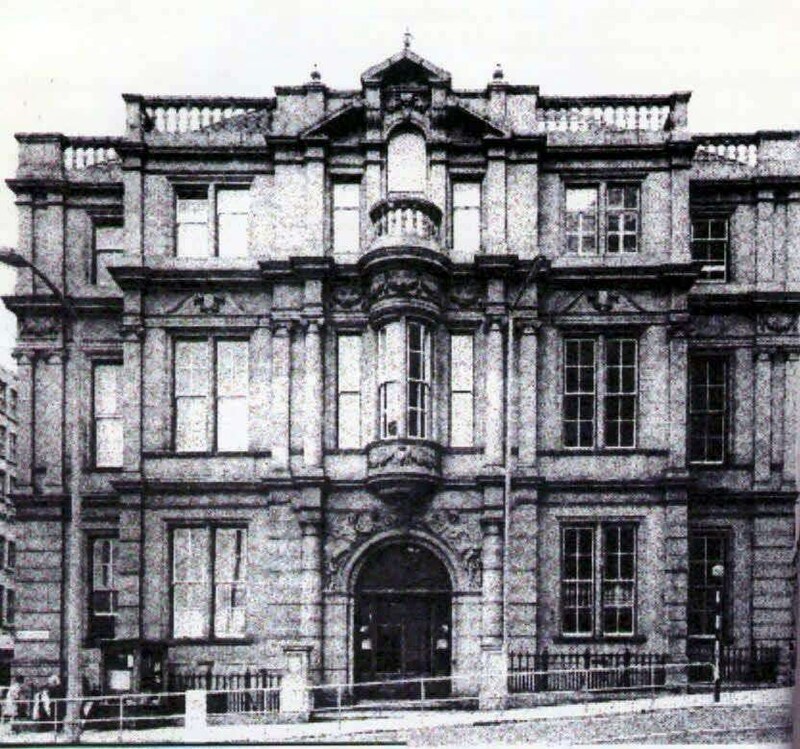 The building was originally the Firth College. Back in the 1950s, it was known as the "Central Technical School" and it had a dual focus. The first was for electrical workers and the second was for construcion people. I thought it was building & Engineering. 1959 - 1965 I was electrical apprentice in a steelworks. We had day release to go to Granville Road 1960 - 1963 for the 1st City & Guilds. If you passed the exam you went on to Pond Street for 2 years to get the higher City & Guilds. That was so tough that there were only 8 left in the exam year. As far as I know there nobody from Central Tech who attended these courses. My Brother in Law did construction at Central Technical School, became a Quantity Surveyor and was a director of one of Sheffield's biggest builders when he retired.